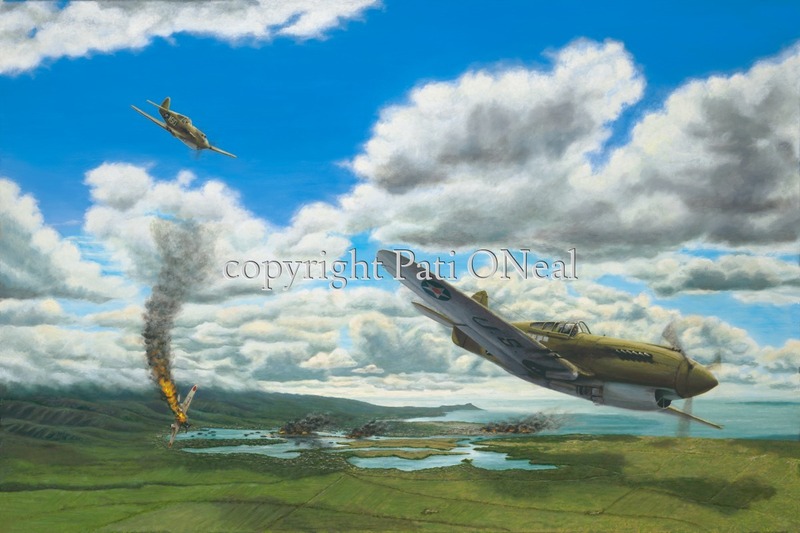 A depiction of events on the fateful morning of December 7, 1941. Framed original oil on canvas sold to private collector, contact artist for a similar commission. Limited edition giclées and open edition matted mini-prints available.